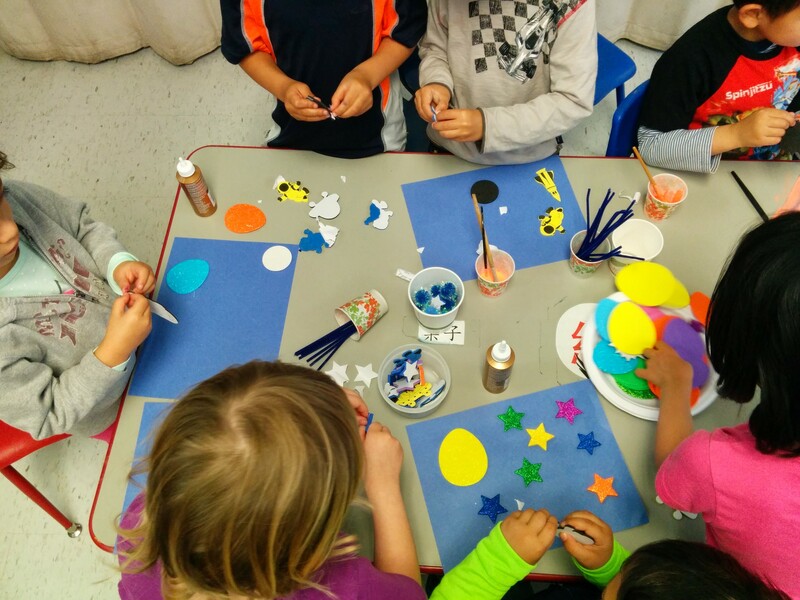 Cowper Campus Spring Break Mini Camp: Voyaging into Space! This year’s space-themed Spring Break Mini Camp felt like an exciting voyage into the great beyond! 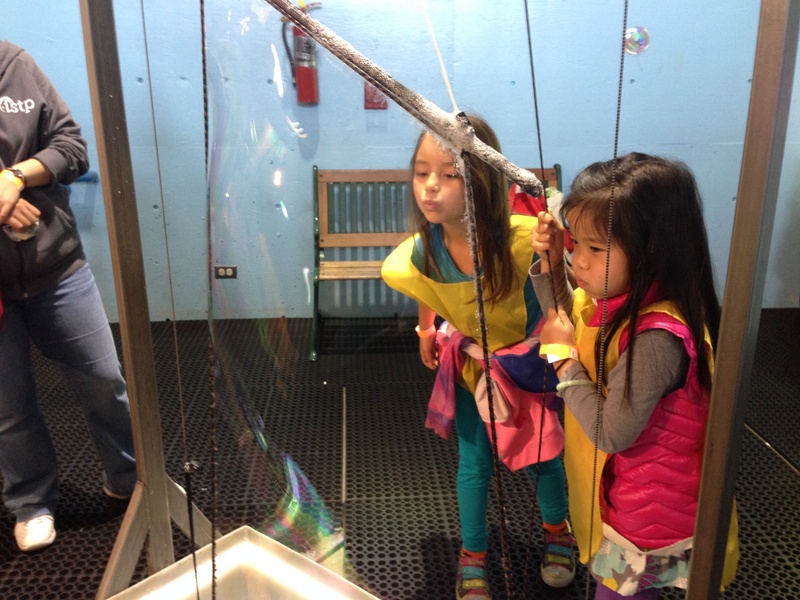 From space-themed cooking and art projects to a field trip to the Children’s Discovery Museum, our week was filled with hands-on exploration and discovery. Monday–Star Gazing: To begin the week, we introduced space concepts by reading books about outer space. Campers discussed planets, alien life, space ships, and more. 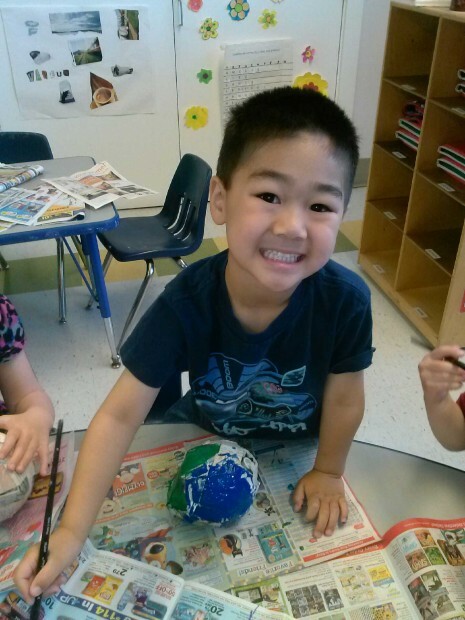 Some classes created their own planets using paper maché and paint. In the afternoon, campers created space-themed artwork using space invader stencils, practicing their tracing, cutting and decorating skills. Tuesday–A Taste of Space: Tuesday was a day of space-themed food creation! 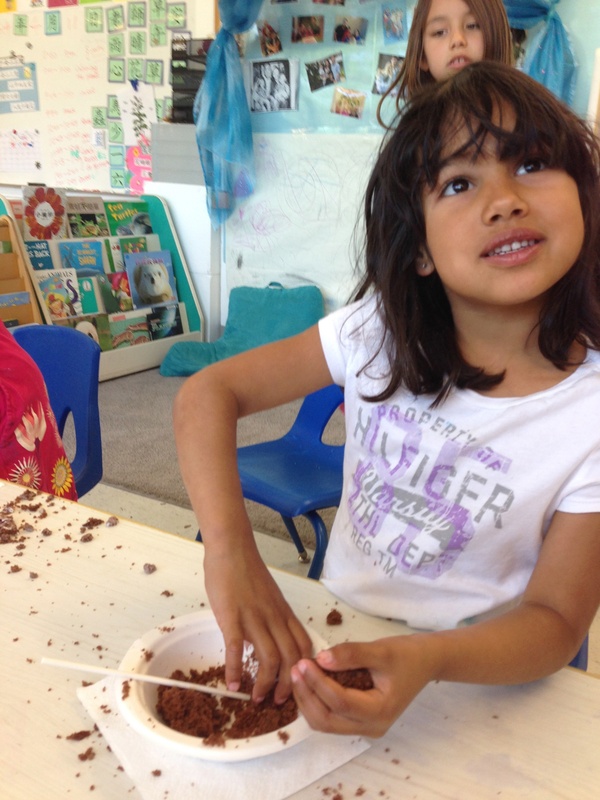 Campers had fun getting their hands dirty while shaping Rocket Ship Cake Pops. They also froze their own delicious rocket shaped Planet Popsicles, made from juice. All these space foods were fun to make, but even more fun to eat! Wednesday–Space Creations: Today the children made Fizzy Alien Eggs, which dissolve and fizz in vinegar to reveal an object hidden within! Campers made the fizzy concoction themselves, mixing ingredients and then watching the chemical reactions as their Alien Egg came into contact with the vinegar. They also made brightly colored, glow-in-the-dark play dough that they could imagine manipulating in the darkness of outer space. At the end of the day, we used paper plates and cups to create flying saucers that could actually fly! Thursday–Space Travel: On Thursday, our Pre-K and Kindergarten campers took a “yellow spaceship” that looked quite a bit like a bus, to the Children’s Discovery Museum in San Jose. The children explored the museum, taking part in the various hands-on exhibits, from the interactive bubbles exhibit, to the still life art area, before blasting off back to campus. Meanwhile, the nursery children painted their own papier mâché solar system and began constructing their space suits and helmets to wear on Rocket Day! Friday–Rocket Day (aka Wheels Day) and a Movie: Friday is always a really fun day at camp, because the kids get to bring their own wheels from home, with a helmet of course! During recess they have time to take trips around the yard, set up traffic signs, make obstacle courses, and most importantly, have fun! After lunch the children enjoyed a healthy snack of popcorn and juice while they watched the beginning of Muppets in Space. After the movie, they enjoyed a little movement and exercise with Coach Grant from Jump Bunch. 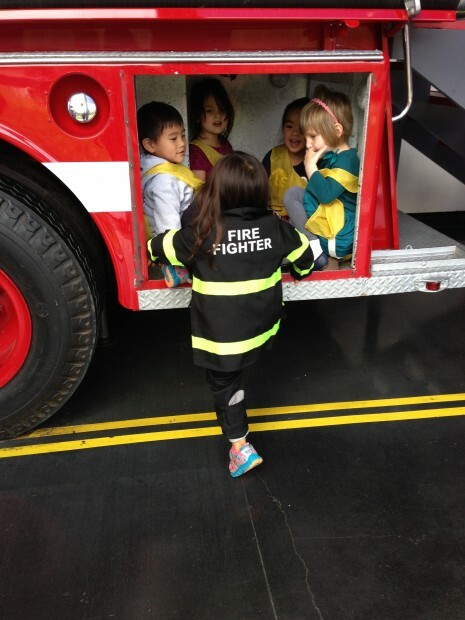 It was a very busy and very enjoyable end to a great space-themed Spring Break Mini Camp.